Laughter energises, relaxes, calms and connects. Regular laughter can help us to become more playful and creative in our daily lives and significantly reduces stress. Laughter increases oxygenation in the body, boosts endorphin levels, boosts our immunity and increases our resilience to pain. Laughter is also incredibly contagious, which is why doing laughter exercises in a group creates so much spontaneous laughter! We run regular laughter sessions with songs, games, laughter exercises and deep breathing. Suitable for all ages. No previous experience necessary. ‘Unconditional laughter connects people from different countries and cultures – no matter what language they speak. 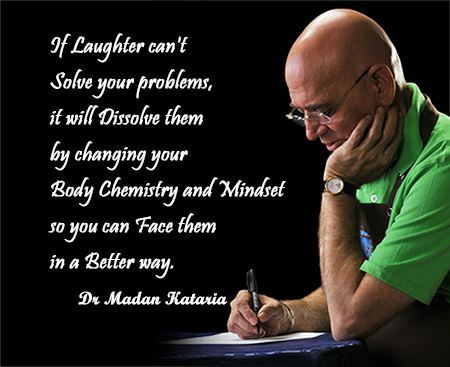 The goal of Laughter Yoga is to connect people at a heart level without judgement!’ – Madan Kataria, founder of Laughter Yoga. We meet every Tuesday at 7:30 p.m. Laugh with us!